Flagship Merchant Services is a Massachusetts-based merchant services provider. As a reminder, merchant services providers (MSPs) like Flagship supply owners of small-to-medium-sized businesses with the tools they need to accept credit and debit payments at their point of sale, wherever that may be—whether it’s in person, online, over the phone, or via mobile. But be warned: Although Flagship can certainly outfit your business with the tools it needs to process payments, Flagship receives less-than-stellar reviews across major review platforms, with users warning especially against the provider’s subpar customer service and substantial hidden fees. In this Flagship Merchant Services review, we’ll go into greater detail about Flagship Merchant Services’ products, their pricing model, and what exactly those user reviews entail. And if you decide that you want to explore your other MSP options, we’ll show you just a few trusted platforms you can consider as an alternative. 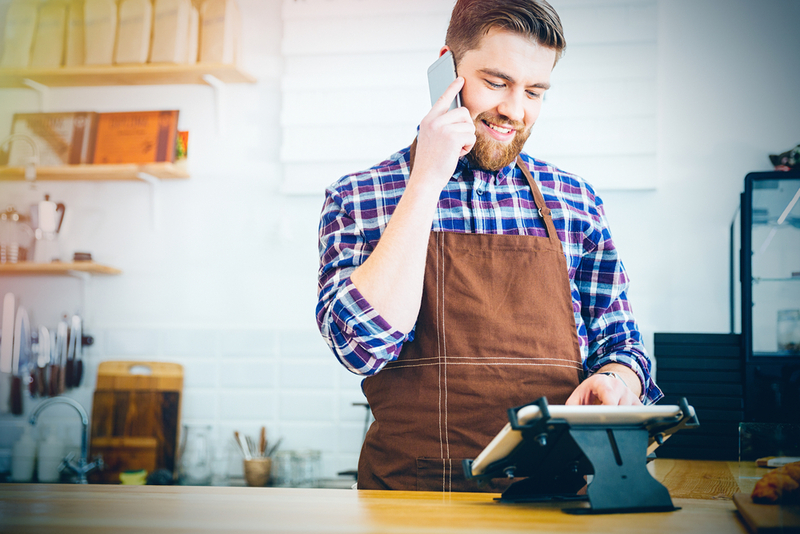 As we mentioned, Flagship Merchant Services carries a range of hardware and software that allows small business owners to process credit and debit payments. They also offer additional services and financial products designed to help business owners boost their sales. Clover Flex: This handheld device can accept chip, contactless, swipe, and PIN entry cards, and its battery can last a full day. It can also capture customer signatures, and your customer can choose to receive either a text or email receipt. Clover Station: Clover Station is their all-in-one, countertop POS terminal. In addition to accepting all types of payment, with the Clover Station you can perform other business management tasks, like tracking inventory, managing employee shifts, storing customer information, and syncing up hundreds of compatible apps. Clover Mini: This is Clover’s smallest countertop POS solution, which connects to WiFi or 3G/4G. Clover Mobile: Clover Mobile is a portable POS terminal, but its capabilities are still more robust than Clover Go or Clover Flex. This lightweight terminal can be a great solution for business owners who need the flexibility to operate beyond a traditional countertop, like food truck owners, restaurants that want to check out customers tableside, or if you set up a stall at a farmers market or crafts fair. In addition to this range of Clover POS solutions, Flagship Merchant Services also offers a mobile card reader and POS software through iPayment. The iPayment MobilePay Swipe is compatible with most Apple and Android devices, but it can only accept chip or swipe cards (not contactless payments). And for retailers and restaurants, Flagship recommends the Verifone VX 520, a compact countertop terminal. Flagship provides ecommerce businesses with the tools they need to accept payments online. First, they’ll hook you up with a payment gateway, which is a software application that enables you to securely accept payments on your website. Their payment gateways are loaded with fraud detection technology and are PCI/DSS-compliant. Flagship’s developer-friendly API allows you to customize your checkout experience and integrate with a shopping cart, but for an even simpler solution, business owners can embed an HTML script onto their business website to integrate a “Buy Now” or “Donate” button. Flagship also offers merchants a centralized console on which they can track and manage their sales and account. Flagship can also service businesses that need to accept payments over the phone or through the mail. To do so, Flagship will first set you up with a merchant account, which is a type of bank account into which funds obtained through credit card transactions are held before being transferred to your business bank account. They’ll also provide merchants with a virtual terminal, which allows you to manually enter credit card information into your computer, and which is an ideal POS system for phone or mail orders. Like their payment gateways, Flagship’s phone and mail solutions are also embedded with fraud detection technologies and are PCI/DSS compliant. Other features include recurring billing capabilities, on-the-go payment acceptance through their POS software, and the ability to securely store customer data (like shipping addresses and payment details) to easily allow for repeat orders. In addition to their payment processing solutions, Flagship Merchant Services offers merchant cash advances of up to $150,000. They also boast expedited review and approval, so after you’ve lobbed in your application you may have access to your approved funds in as little as a single day. For a quick reminder of how these financial products work, if you’re approved for a merchant cash advance (MCA), the financing company advances you a lump sum of cash in return for a cut of your daily credit card sales, plus a fee. Typically, the financing company automatically removes that amount from your bank account via ACH payments. We should warn you, however, that MCAs tend to have more downsides than up. While that upfront, lump sum of cash may be tempting to take on, in the long run those daily cuts from your credit card transactions can seriously compromise your cash flow. And because financing companies offering MCAs tend to work with riskier borrowers, they’ll charge sky-high factor rates and fees. So before you jump on your MCA application (either through Flagship or another financing company), make sure that you understand your factor rate and fees, and that you’re truly generating enough sales to repay your advance without going into greater debt. You can order premade or branded gift cards through Flagship. Offering your customers gift cards is a great way to establish your brand identity, develop customer loyalty, and increase your cash flow. Pirq, Flagship’s digital loyalty program, is an app that your customers can download to their phones so they can easily track their services and redeem rewards—essentially, it’s a digital version of a traditional punch card. On your end, Pirq gathers important information about your customers’ spending behaviors, and you can then use Pirq’s native marketing tools to reach out to your customers with targeted marketing material and offer special rewards. Through iAccess, Flagship’s online business management portal, you can track and manage your daily, weekly, and monthly credit card transactions; access digital statements; view a range of performance analytics; access a resource center for self-support; along with other business management capabilities. Flagship Merchant Services doesn’t provide any pricing information on their website, so if you’re interested in this service, you’ll need to contact a representative directly, speak to them about your business and sales volume, and they’ll assign you tailored rates and fees. They do say, however, that they carry monthly contracts and don’t leverage early cancellation fees. According to third-party websites, Flagship doesn’t charge a setup fee, though reviewers say that Flagship charges hefty security and PCI fees, along with other hidden fees. This dearth of pricing information isn’t so unusual for traditional merchant service providers. Recently, however, more and more MSPs are becoming transparent at least about their pricing structures, which factors are considered when underwriters determine your rates, and which additional fees you can expect (or not) on your statement. Unfortunately, Flagship Merchant Services receives largely negative user feedback across major review platforms. For instance, Card Payment Options gives this merchant services provider a C rating due to their undisclosed fees, frequent customer complaints, poor user reviews, and their low BBB rating. Over on Consumer Affairs, Flagship received 142 five-star reviews, but they also received 98 one-star reviews. On this site, users warn that Flagship was not upfront about their fees when they signed up for an account—one reviewer claims that their fees were more than double what they agreed to when they signed up. Other reviewers say that their Flagship fees were initially low, but gradually became higher after their first year of service. Still others claim that they were automatically enrolled in a service they didn’t agree to and were charged that service’s attendant fees. It’s important to take reviews with a grain of salt, and you can’t always assume that one business owner’s experience will be identical to yours. But it’s also worth taking notice when reviews are consistently less-than-stellar. In that case, it makes sense to consider your other options, as well—and luckily, there are tons of reliable merchant service providers on the market today. Like we mentioned, your merchant services options certainly don’t end with Flagship. Consider one of these merchant service providers and merchant account providers instead, all of which receive far better customer reviews, are more transparent about their pricing and fees, and can provide business owners with all the tools they need to accept credit cards. Fattmerchant is a merchant account provider that offers a range of POS terminals—including physical terminals, mobile readers, ecommerce shopping carts, virtual terminals, and sophisticated developer APIs—as well as tailored solutions for businesses in certain industries. Their service comes with other valuable features, too, like app integrations, next-day funding, advanced analytics reports, and automatic account updaters, all of which you can access on Omni, their integrated business management portal. Their pricing is transparent, too: Fattmerchant offers subscription-based pricing, so you’ll pay a consistent monthly fee, plus the standard interchange-plus fee and a small markup per transaction you process (markups start at $0.08 per transaction). Fattmerchant clearly lists all their fees (or lack thereof) on their website, so you won’t run into any surprises after you’ve signed up for this service. Also, Fattmerchant receives largely positive reviews: they average a 4.5 rating on Consumer Affairs and only six customer complaints on BBB. Users are especially impressed with their excellent customer support team, honest fees, and easy-to-use online dashboard. Yet another highly trusted merchant services provider, Dharma Merchant Services sets themselves apart from other MSPs for their socially responsible business practices, discounted pricing for nonprofit ventures, exceptional customer service, honest and transparent pricing model and fees (all of which you can view on their website), and low fee rates. However, keep in mind that Dharma doesn’t work with businesses that process less than $10,000 per month in card transactions. 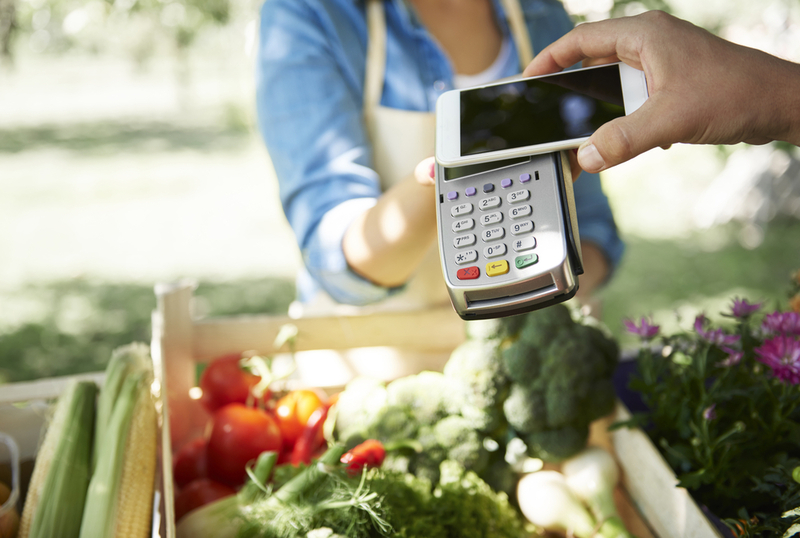 As a full-service MSP, Dharma also provides every tool you need to process credit and debit payment, from mobile readers to virtual terminals to physical POS hardware (and every other method we didn’t list here). 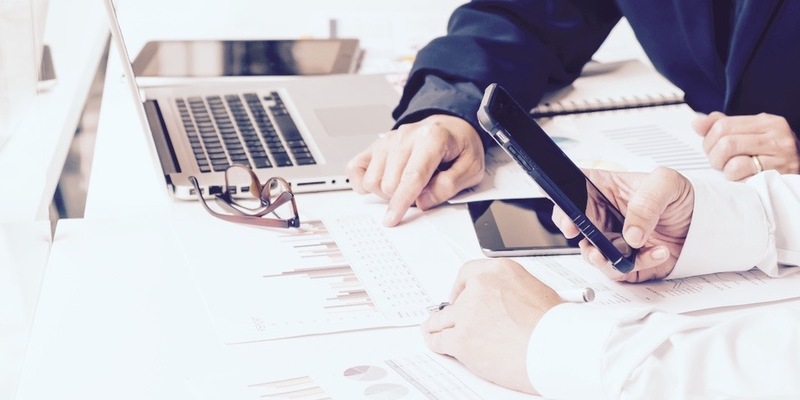 Other key features and capabilities include recurring billing, invoicing, ACH payment processing, a secure customer database, and next-day deposits. Plus, Dharma boasts some of the most consistently positive reviews we’ve seen across all major review platforms, as well as a coveted A+ rating on BBB. Although Fattmerchant and Dharma carry fair, relatively low rates for their services, these options may not work for smaller businesses. On the one hand, your credit card transactions may not meet Dharma’s $10,000-minimum requirement; and on the other, Fattmerchant’s monthly subscription fee may simply be too expensive relative to your sales volume. In that case, consider Square as your merchant services provider. Square POS is a completely free software, and Square also carries a range of both physical and digital POS terminals for an additional flat fee. This payment processor carries a pay-as-you-go pricing model, with rates starting at 2.75% per transaction. And as it’s a tech-based payment processor geared especially toward small businesses, setting up your Square gear is easy, using their tools is intuitive, and you’ll have a suite of complementary, integrated business management tools at your fingertips, too—think payroll services, loyalty programs, marketing tools, inventory tracking, and employee management capabilities. Is Flagship Merchant Services Right for Your Business? As you can tell, Flagship Merchant Services has its pros and its cons. On the upside, they provide businesses with the tools they need to accept credit card payments at any point of sale, and they offer some of the best POS terminals on the market (including those from Clover, which we especially like). But on the downside, customers warn against unexpectedly raised rates, undisclosed fees, and poor customer service, especially when trying to cancel an account. For those reasons, we’d recommend seriously considering other options. Fattmerchant, Dharma Merchant Services, and Square are just three alternatives that boast better user reviews and more transparent pricing.